Contours For Men & Women is dedicated to helping our clients get just the haircut they’re looking for. We believe that our guests are our highest priority. We would like to offer our personal assurance in meeting all your beauty needs and the quality of service you deserve, because your happiness makes our salon a success. We’re here for all your hair care needs in Prince George and the surrounding communities. Maintain your look or ask your stylist for a fresh new customized cut and style. Have your hair styled for special occasions. 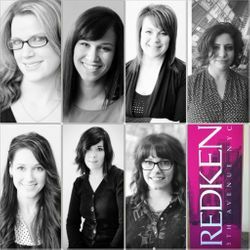 Transform the condition and health of your hair with an intense Redken chemistry conditioning treatment, customized for your hair's specific needs. Whether you want to take few years off by blending away gray or you're looking for a fashionable new look, achieve vibrant and shiny hair colour. We look forward to seeing you at Contours!